Pendalog means "the source of the lively spring". Once a working farm, Pendalog is now the spacious and beautiful home of Shirley and Roger Bowles. 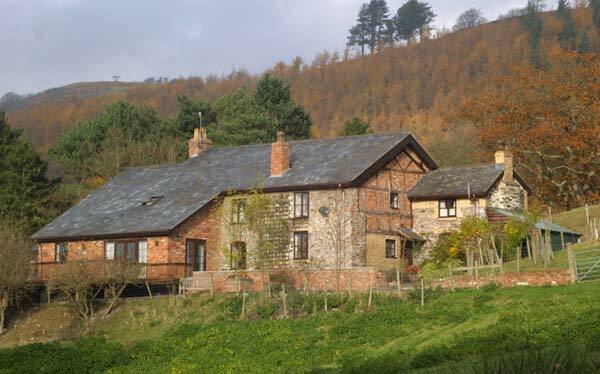 It is situated in the lovely Welsh border countryside near Llanfyllin in Powys, 12 miles north-west of Welshpool. 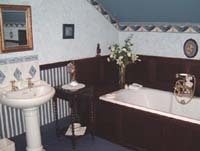 The house, part of which is believed to date back to the 16th century, has been extensively modernised to provide five-star bed and breakfast accommodation for family groups of up to four people. It is surrounded by its own 4 acres of hill pasture and woodland and has extensive views from the garden and decking. 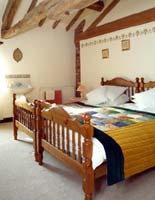 The farm is an ideal centre for touring mid-Wales and the Border Country.